In our Sales Promotion tutorial, we note how this method of marketing promotion can be used to meet five objectives – build awareness, create interest, offer product information, stimulate demand and reinforce a brand. What is not mentioned is how sales promotion can also be an essential component in helping to resurrect a damaged brand. When companies face negative publicity, it is almost guaranteed they will lose customers and, in some cases, a lot of customers. To recover from the damage, a company will turn to its marketing department to rebuild the brand’s image. In such situations, marketers may try to improve things with advertising, for instance, a television ad or full-page advertisement in a newspaper saying the company is sorry. However, many companies facing negative publicity find the best way to get customers back is to entice them with sales promotions. Promotions such as free product, promotional pricing and premiums (i.e., special give-away items) offer incentives to buy again that are not easily available with other forms of promotion. 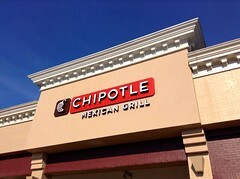 A good example of using sales promotion to help restore a brand can be seen with the circumstances facing the fast food restaurant chain, Chipotle Mexican Grill. Over the last few months the company has struggled due to several virus outbreaks, which forced the closure of many outlets. The news of outbreaks was widely reported and sent sales into a freefall as customers steered clear. With the problem now under control (at least, that is what the company says), Chipotle has launched a massive sales promotion offering free burritos. As discussed in this story from MarketWatch, the company is mailing 21 million freebie coupons. This new promotion is on top of a previous free burrito promotion in which 2.5 million coupons were redeemed. Even if only 25% of the new coupons are redeemed, the cost of this promotion is likely to be well over $10 million. Of course, the big question is whether those who come for the free burrito will come back when their meal is not free. If, in a few months, we see Chipotle running yet another free burrito offer after this one expires, then the answer is likely customers are not returning. « Evaluating Company-Produced Research Reports: Is the Research Done Right?